A gluten-free pie with a perfect combinations of bananas, walnuts and chia seeds in their raw forms. 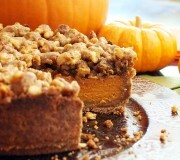 Prepare Simple Nut Pie Crust and allow crust to cool so that it is ready for filling. 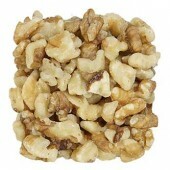 In a food processor or high powered blender like a Vitamix machine, place all ingredients apart from the Eatnuts.com Walnuts and blend until smooth. 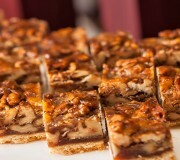 Pour blend into pie crust and then sprinkle Eatnuts.com Chopped Walnuts on top. Place in freezer for 1-2 hours until it has hardened. Store in freezer but remove about 15 minutes prior to serving to allow the pie to defrost. Then cut your pie slices. For an extra special treat, top things off with some whipped cream, ice cream, and a hot drink like coffee or tea. 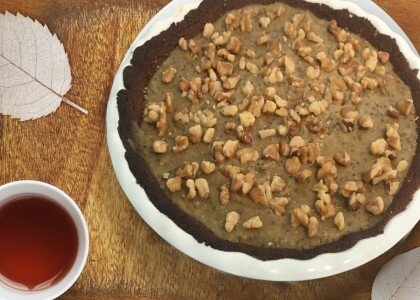 Who would have ever guessed that the combinations of bananas, walnuts and chia seeds in their raw forms could come together so well and be eaten as a gluten-free pie? 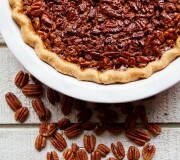 This is perfect for those who do not necessarily enjoy their holiday pies super sweet, although, you can increase the amount of agave and sweeten things up quickly to suit your tastebuds. This recipe is a winner all the way around.